A lot of tourists say that Chicago is one of cities with the most beautiful architecture and it is easy to see why. Chicago has a magnificent skyline. But there is more to it; the skyscrapers in Chicago are going green. They plan to cut energy use by 20% over the next 5 years, and inspire us all! Chicago's skyline is going green, as property managers install energy efficient tools like motion-detectors on office lights, in a project officials hope will inspire changes across the United States. At the riverside Sheraton hotel, chief engineer Ryan Egan cannot get over what his new thermostats can do -- or the $136,000 a year in savings they are producing. Are tied into the booking management system, which means he can let the room temperature drift beyond standard comfort levels until the moment a guest checks in. Once the guest leaves the room, the temperature starts to drift again, giving the heating or cooling system a break until it's needed again. The thermostat is programmed to only allow the room to warm up or cool down to the point where it can get back to the pre-set temperature within 12 minutes of the guest's return. "The brains behind how much it can drift is really interesting," Egan said. "If you're on the shady side (in the summer) it'll drift more because it knows it can recover faster." The Sheraton is one of 14 major commercial buildings that signed onto the Retrofit Chicago challenge to cut energy use by 20 percent over the next five years, for savings estimated at more than $5 million a year. If they succeed, it will be like taking 8,000 cars off the road. "The fact that this is the city that built the first skyscraper, we love that we're trying to green the skyline," Karen Weigert, chief sustainability officer for the city of Chicago, told AFP. 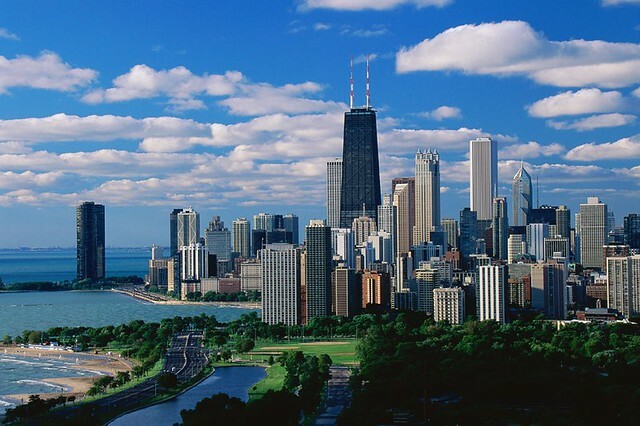 Some 70 percent of greenhouse gas emissions in the Windy City come from the electricity and gas used to heat, cool and power homes, businesses, schools and other government buildings. In addition to the greening in commercial buildings, the city plans to cut energy use by 20 percent in hundreds of municipal buildings, for an estimated monetary saving of $20 million a year and emissions savings equivalent to taking about 30,000 vehicles off the road.